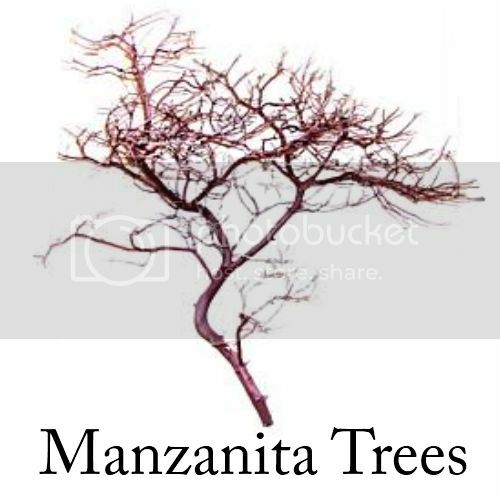 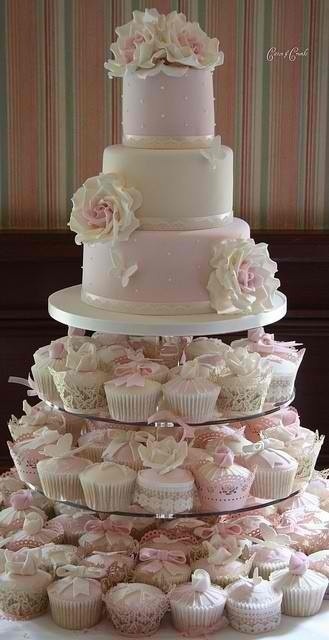 A wedding cake has been traditionally served for centuries during wedding receptions. 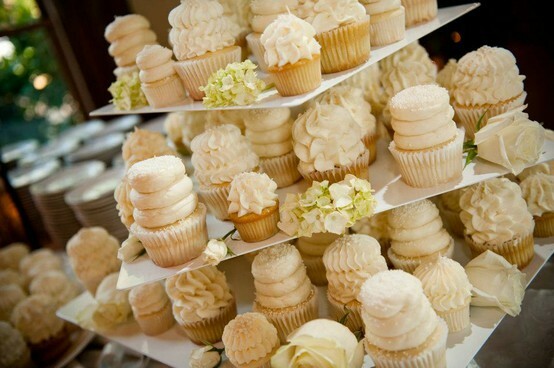 Now, many brides are getting away from this tradition and are serving wedding cupcakes instead. 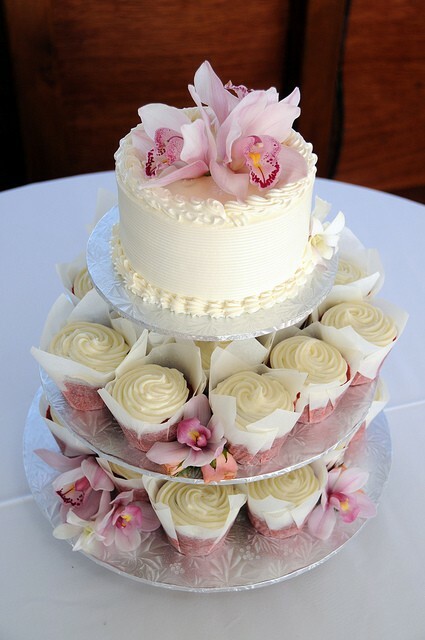 Cupcakes are a trendy new design for wedding receptions and can be just as elegant, beautiful, and refined as a traditional wedding cake. 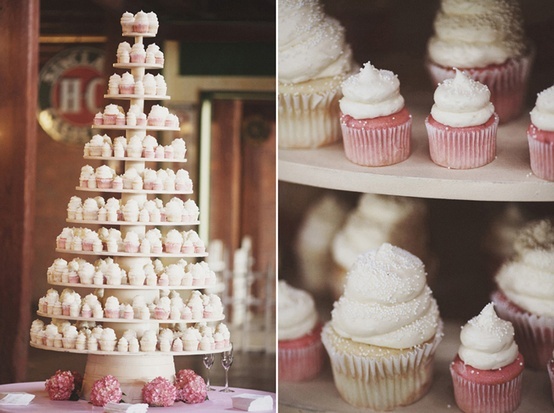 Here are some great wedding cupcake ideas for you. 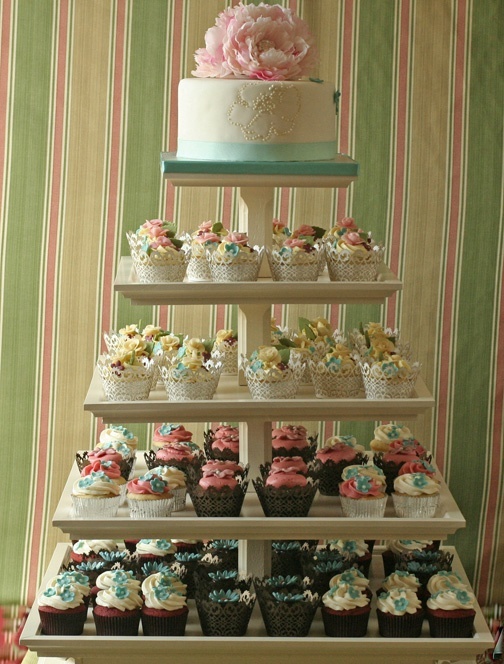 The cupcakes can be displayed on a tiered cake stand. 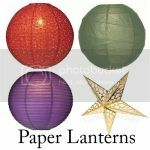 The top layer can be a small wedding cake for the bride and groom to cut for the traditional wedding cake cutting photograph. 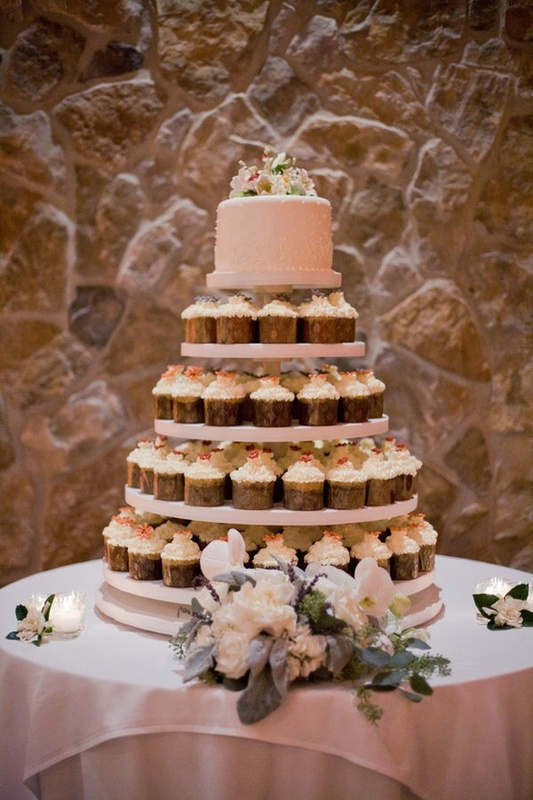 The small wedding cake serves as an elegant wedding cupcake tower topper and is a great way to incorporate a personalized touch for the bride and groom. 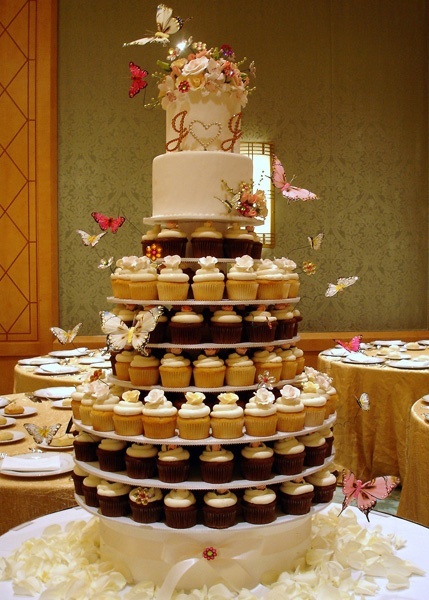 The cupcake towers range from simple to extravagant and can be decorated to match any wedding theme. 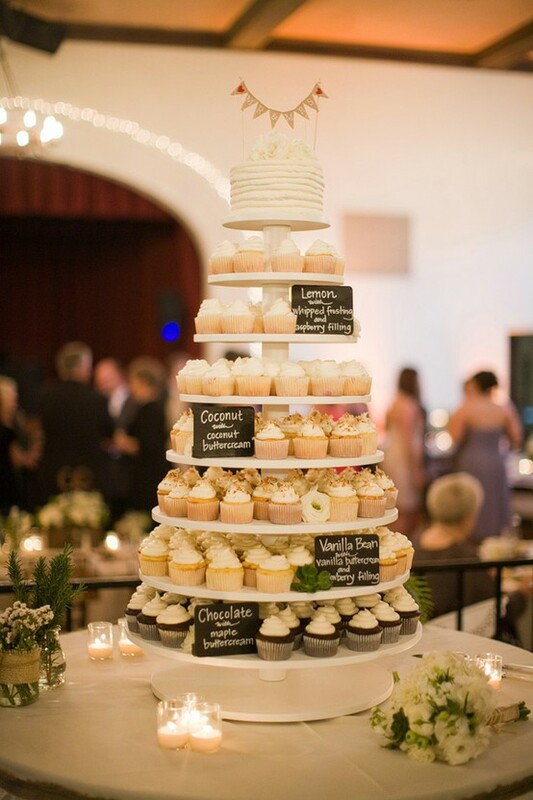 Tiered cupcake stands are found in a variety of shapes and styles, but the most common or circles and squares. 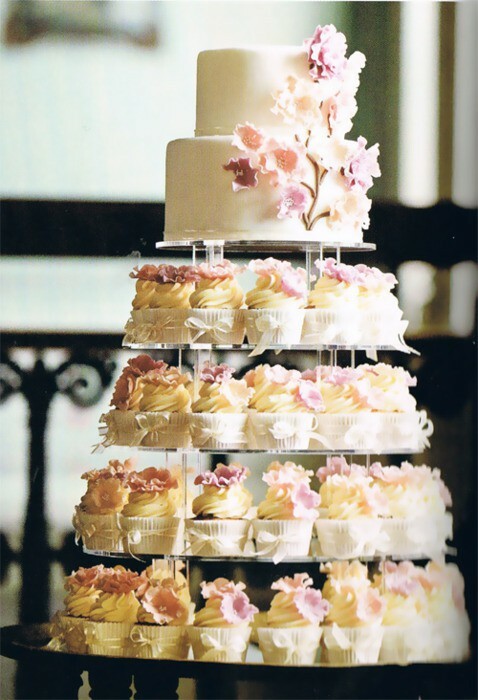 The small cake can then either be a circle or square to mirror the shape of the tiered cupcake stand. 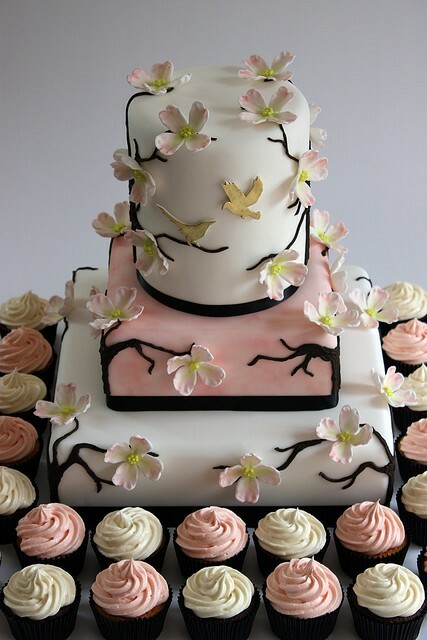 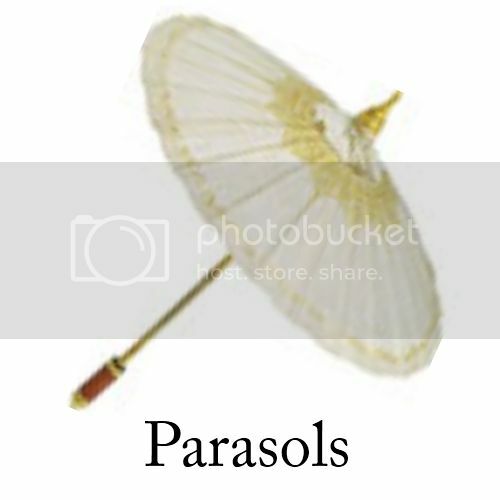 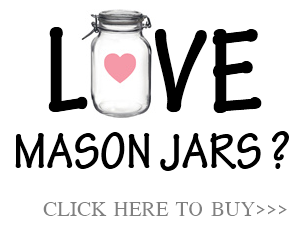 Round cakes are more traditional and romantic in style, whereas square cakes are considered to be elegant and modern. 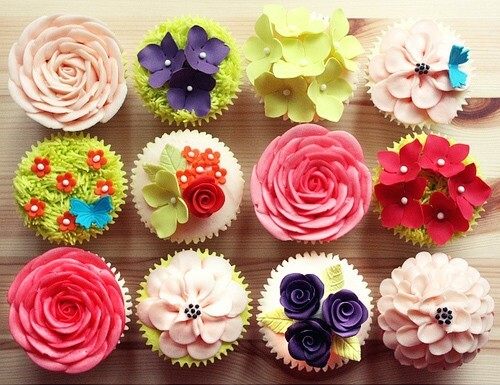 Cupcakes are usually cheaper than an elaborate wedding cakes. 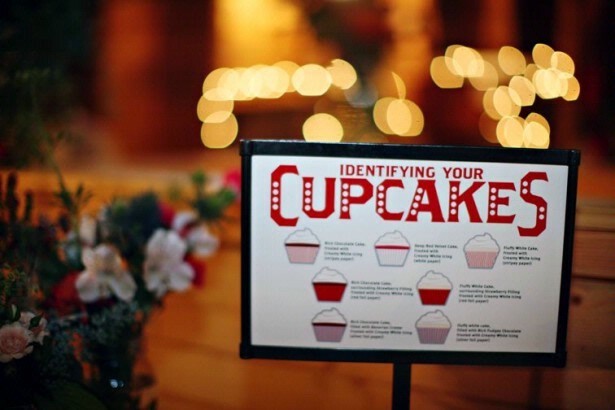 This means you can get more for your money with cupcakes. 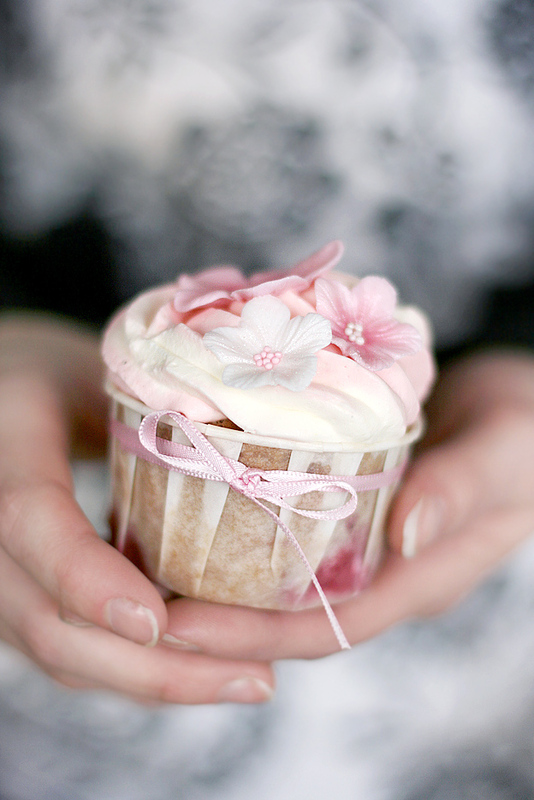 Having cupcakes are easier to serve and easier for guests to eat as they are already a perfect serving size. 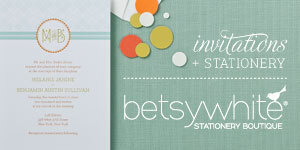 This means no cutting and no need to have someone serving your guests. 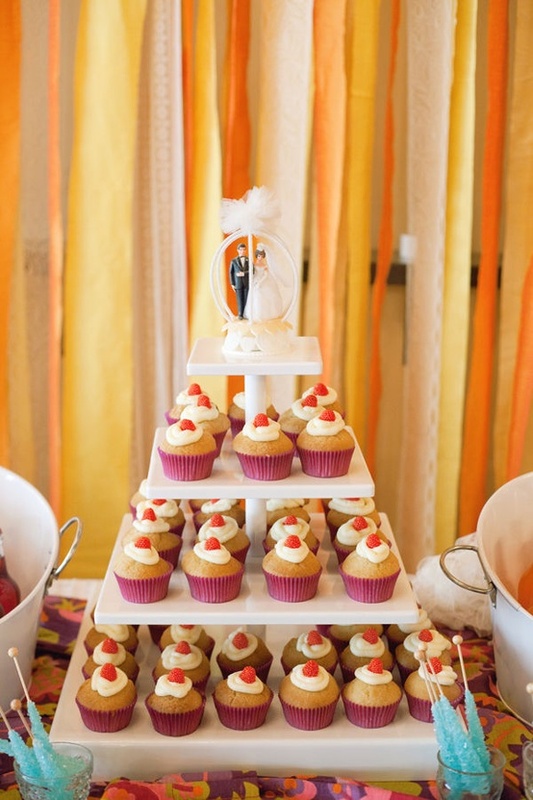 Cupcake towers are a great alternative for couples looking for a non-traditional wedding dessert. 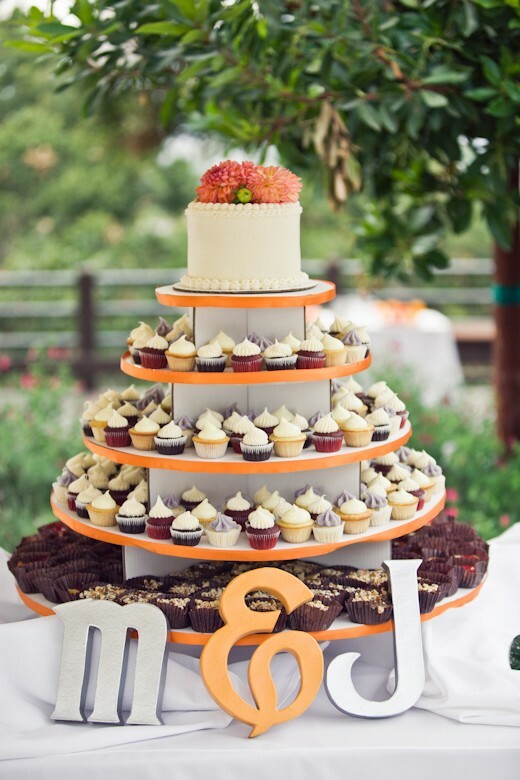 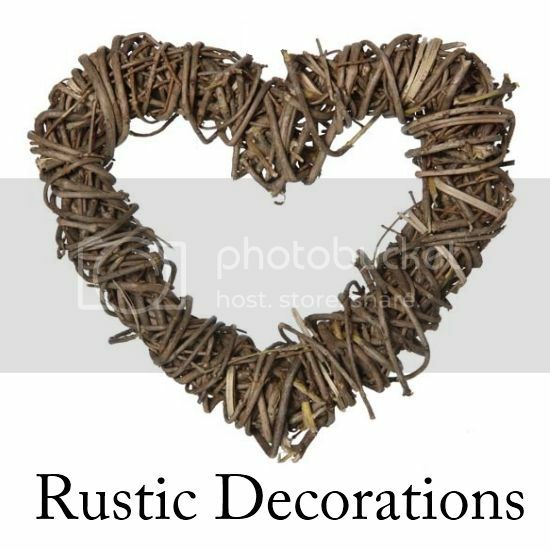 Some are offered side by side with a traditional wedding cake, others are a main focal point of the dessert table with a small cake for the bride and groom to cut, and some couples even decide to replace their entire wedding cake with cupcakes.